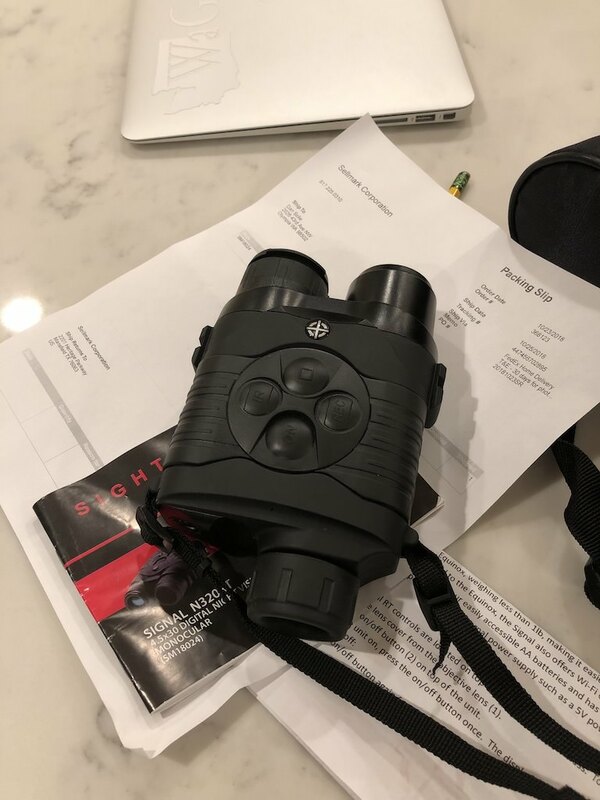 Sightmark sent us this monocular for a 30 day testing and evaluation period, and I must say, it’s a slick unit. Packed with features, ready to use out of the box and a smartphone app that really helps the unit shine. Prices online for the N320RT vary from $399-478. When I first unboxed this, I couldn’t wait for nightfall. I dared not to turn this on in my bright living room because of the old notion that you could ruin your NV by exposing it to direct light. After immersing myself in the instructions and online videos, I learned that this unit is capable of both day and night operation. With 4.5x zoom as the lowest setting (up to 9x with digital zoom), use indoors was only useful in helping get acquainted with the unit. Using outside, in the daylight is nothing more than looking through a slightly enhanced digital camera viewfinder. It was still nice though to fidget with the buttons and app in daylight. Nightfall came and I headed outside for my first evening of playing around. I live in a rural part of Olympia, WA. Surrounded by trees with acreage around me, I felt it was a decent spot to play around with this new gadget. I turned off all of my exterior lights and put the monocle (digital viewfinder) to my eye. I was impressed with the amount of detail I was able to see at around 15-20 yards. 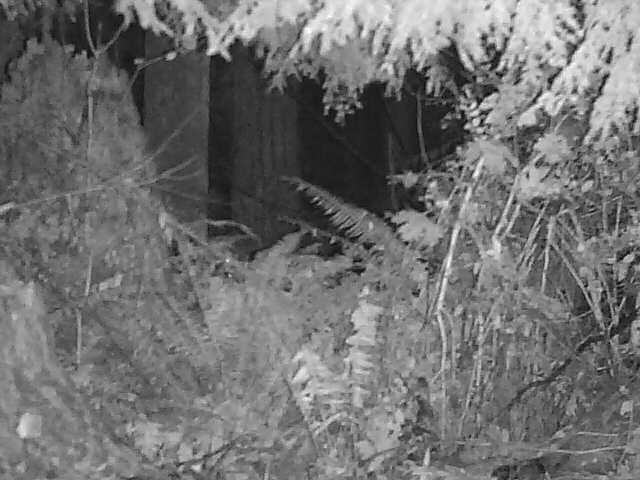 The IR emitter did a great job of reflecting on the foliage. If it wasn’t for that 4.5x magnification, I feel like I could have navigated my property fairly confidently using only the monocle to guide me. Today we have a special treat – a brief review conducted by my wife & written by me! We wanted to highlight a product that we’ve had in hand for a while and just recently got the opportunity to use (during a long bike ride) – the P-Mate! The P-Made is described as a “Disposable Urine Director” so women can stand to pee (an increasingly crowded space with several other products making the same claim). This concept is awesome because in addition to coming in handy while out in the middle of nowhere, the other benefit is that it means no more squatting over a gross toilet/portapotty. Yet, the P-Mate is unique in the sense that it is made of paper and can be easily folded and stored in minimal space (and minimal). My wife tried it and loved it. She commented that it was a little weird not squatting – but that she could probably get over that with time. She was more impressed with the product and felt it would be best served for toilets or portapotties as women’s underwear still needs to be dropped for the product to work (and that might be awkward in a more “public” location). She suggested that we include some in our day bags for large outdoor events and hikes. Years went by and we got a lot of comments to my review – admittedly, many of them were positive – describing awesome experiences with Mid State Firearms and their products. So, when Mid State reached out and asked if I’d consider reviewing some of their newest offerings – I figured, hell yeah – let’s give these guys a chance and show people what this company is doing now. And you know – I’m happy I did that. There are a lot of folks at the price point of Mid State Firearms and I was impressed to see some premium options that buyers can include on their builds (without tripling the price). Something that really attracted my attention (but I sadly didn’t end up going for) was the non-NFA 10.5 inch (+shroud) 300 Blackout Upper. 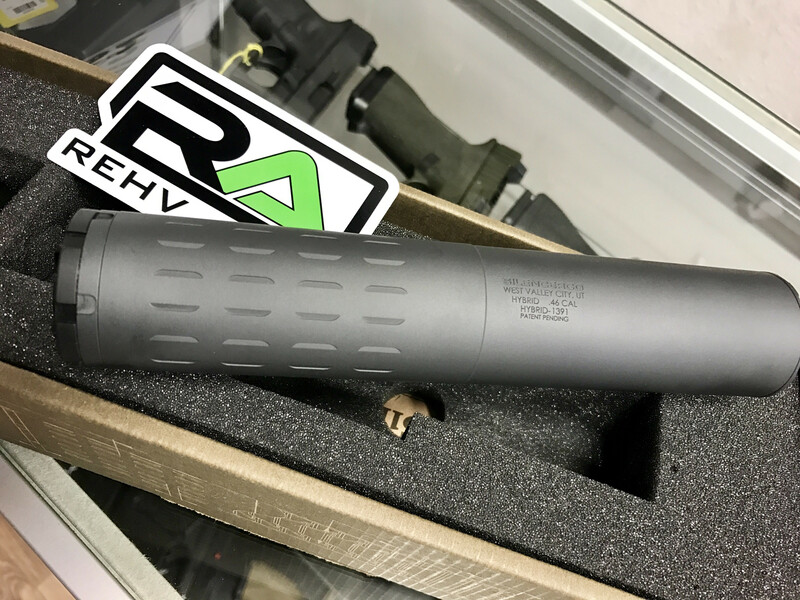 That is a really cool option for someone that doesn’t want to pay/wait for an SBR tax stamp but already has a suppressor. These OilSlick Rainbow BCGs, were exactly the type of thing that I wanted to find and a fairly reasonable price compared to comparable premium retailers – so that got included as well. Next came choosing a rail and I was excited to see a very modern offering that was slim and offered everything I wanted for this build. Speaking directly with MSF was easy and once the order was placed – we set out to purchase everything else for the lower build (MFT Minimalist Stock, MagPul SL Grip, ALG Defense ACT, etc). Keep any eye out for Part 2 – where we see what MSF is bringing to the table these days (heads up: we were very impressed). I had a contact reach out to me and ask if I’d like to do a review of some products for the WaGuns blog and I figured my summer travels would be a great opportunity. First up is the SunJack 14W + 8000mAh Battery solar charger which – I must note, was provided to me for free for the purposes of this *honest* review. I brought the SunJack on trip to Mt. Rainier National Park in mid-July and was pleasantly surprised at its capabilities on a fairly overcast three-day trip. Build quality seems fairly high, especially to another solar panel that I had purchased previously which had a very cloudy film all over the panels (and reduced charging efficiency; I did two warranty exchanges with that panel, it has never really worked). The nice thing about the SunJack is that it includes a 8000mAh battery, although there are some downsides to that (more on this later). Overall the solar panels worked quite well, charging up the battery pack to half way (as far as I could tell from the blue indicator lights). What that means realistically is anyone’s guess – but it was enough to juice up my iPhone 6s. Overall, I enjoyed having a way to produce free power for my devices while on vacation but there’s definitely one downside to the SunJack – weight. If you use the included battery pack, the company’s specs list the entire package at 1.75 pounds (or 2.3 pounds according to Amazon). You all know the saying – ounces turn into pounds and pounds turn into pain…even at 1.75 pounds, this is a hefty device to include into your pack when going on foot. With highly rated 16,000 mAh battery banks (twice the capacity of the one included with the SunJack) weighing in at 10.9 ounces; it raises a lot of questions for me about when and where it would be appropriate to bring the SunJack. Overall, cool piece of tech and an EASY entry into the solar charging market compared to other options but I have a lot of reservations about the capacity of the battery when you consider the weight of the entire system. Ultimately, I’ll bring the SunJack again when I go car camping but it is highly unlikely to make it on a backpacking trip. 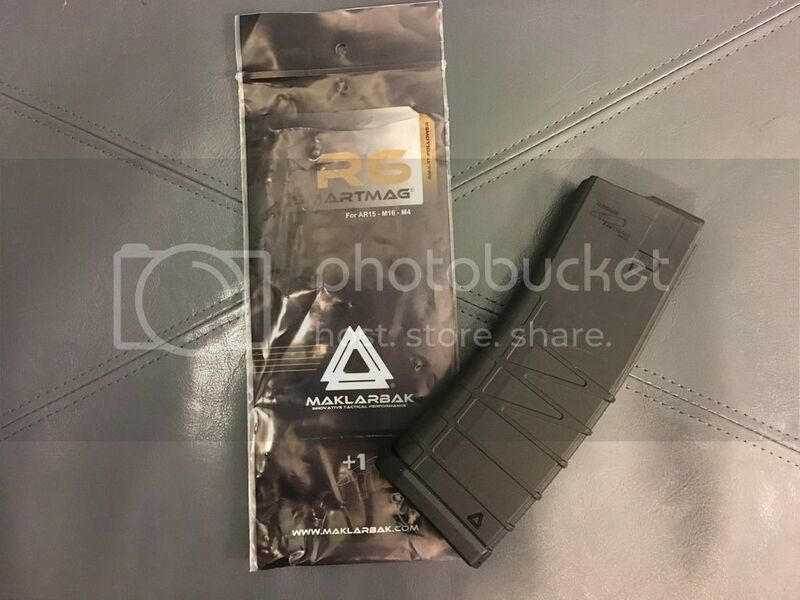 As we were walking around SHOT 2016, the Maklarbak booth caught my eye and the representative – Martin – gave us the whole run down on their product, the R6 SMARTMAG. Drop Bolt on the last round in your mag. Find and insert a new mag. The round from the empty mag is already chambered so you can immediately return fire when needed. We all stood there and thought about the concept while Martin handed out sample magazines. He further explained that the idea was that you’d have four (4) magazines (1 in the gun and 3 on your body/chest rig). We smiled, nodded and walked away. Shortly out of earshot – we all concluded it was a great concept (your rifle is never completely empty)…but that it required a huge investment in retraining muscle memory and it also created a completely separate reloading procedure for your rifle vs. your side arm. 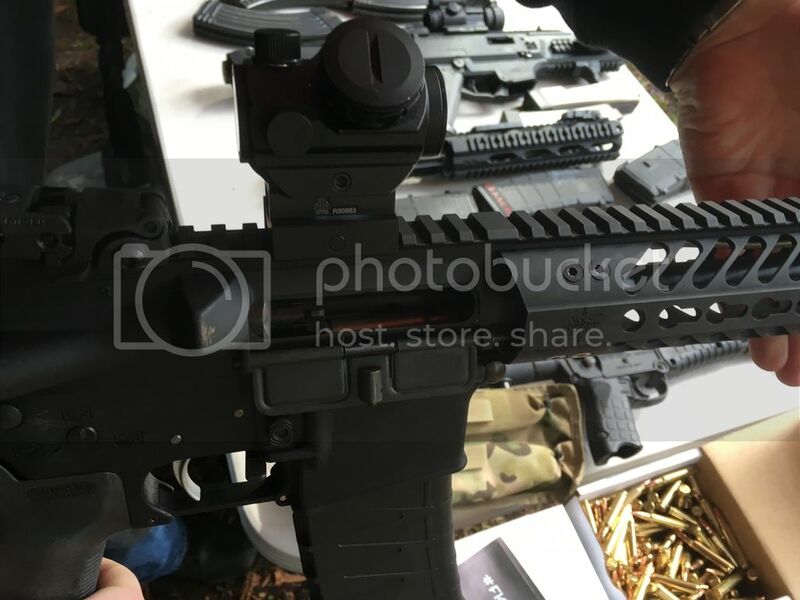 Nevertheless – I wanted to know if the magazine would function as advertised so I took it to a recent SBR/Suppressor demo at Interlake Sporting Association. I was also trying out some .223 ammo from American Reloading in my 10.5 inch SBR and I knew it would present a fantastic opportunity to show off the concept while getting a good idea about how well it functioned. The first shooter – a former LEO – Mike – was impressed with the idea but immediately jumped to the same conclusion we had…it requires a lot of retraining. Not long into the day – maybe by the 3rd or 4th shooter, the bolt locked back and as the shooter attempted to release the bolt on the last round – everything froze up…requiring a lot of muscle to pull the magazine out and free up the bolt. This same thing happened intermittently to the next 3 or 4 shooters until I pulled the magazine out of rotation and just used Gen 3 PMags. At this point the failures stopped – which leads me to believe these issues were caused solely by the R6 SMARTMAG…so, I don’t plan on using it again and I certainly can’t recommend it. The WaGuns crew was at SHOT in Vegas…settling down for dinner and a beer several beers at the joint inside the lobby of our luxurious off-strip motel. Tonight was no different and two guys from an adjacent table leaned over and asked if we were from Washington…we said we were and they quickly introduced themselves to be representatives of American Reloading. We chatted for a while and they casually suggested to send us some ammo for testing and evaluation – I didn’t really think it would happen, but a few days later I got an e-mail asking for a shipping address…two days after that, I had a huge box of ammo waiting for me at home (sorry, UPS guy!). Packaged in bulk but still, the boxes were heavy duty and much more sturdy than what I’ve seen from fly-by-night reloading outfits. All of the brass (the .223 in particular) was bright and shiny – couldn’t ask for much more than that! So, how did this stuff shoot? Pretty well, I must say. At an Action Pistol and SBR/Suppressor Demo hosted at Interlake Sporting Association, the American Reloading .223 was the only ammo shot out of my 10.5 inch SBR (with a SilencerCo Omega), and I had zero ammo related malfunctions (there were a handful of magazine-related malfunctions, but that’s a story for another day). I would also add – there wasn’t nearly as much gas blowing back into my face when shooting the SBR (with or without the suppressor)…so I’m not sure if American Reloading is using different/faster burning powder or what – but that is a huge plus to me. The American Reloading 9MM (115gr) was also heavily used as it was barely supersonic at 1080 FPS and was a good way to demonstrate the difference between supersonic and subsonic loads when using a suppressor. While I can’t speak to the accuracy of the ammo (most of it was used for demonstration purposes), when I took my first shots of the day (before the targets were all ripped up) – it seemed to do just fine. I typically get my plinking ammo from Freedom Munitions, but I’ll definitely be watching the sales/prices at American Reloading from now on.